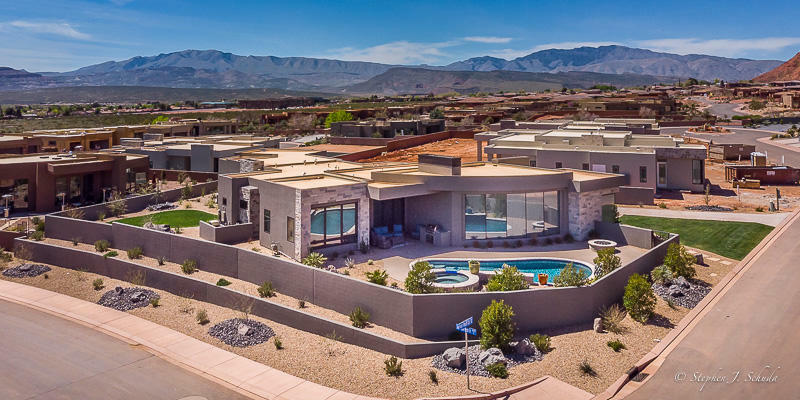 All PALISADES AT SNOW CANYON homes currently listed for sale in Ivins as of 04/19/2019 are shown below. You can change the search criteria at any time by pressing the 'Change Search' button below. "Exquisite custom home all on one level. 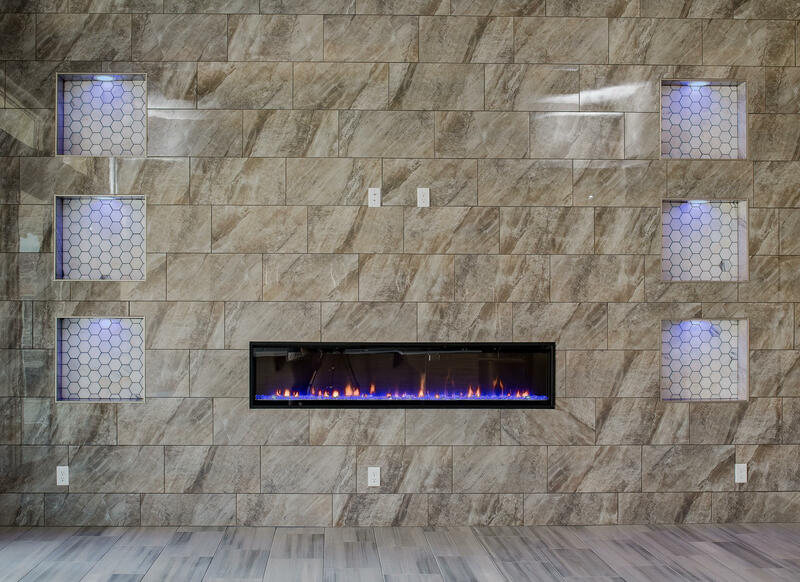 This gorgeous home starts with an inviting courtyard, front rotunda with custom tile. 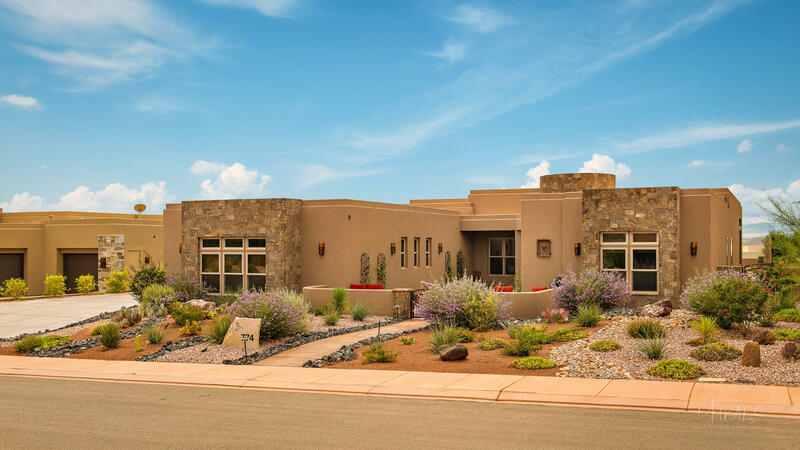 Custom Mahogany stained cherry wood cabinets, hidden pantry, travertine tile, over-sized large kitchen island with plenty of counter space with views from the kitchen so some of the most amazing sunsets in Southern UT. 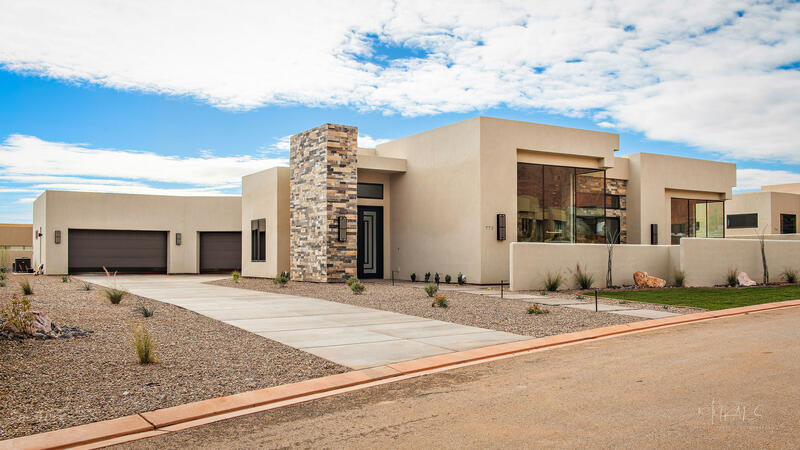 This home has a built in glass firepit, Casita near the"
"Location, location, location. Amazing Red Mountain Views. Brand new custom home just completed. Private Gated community, quiet secluded cul de sac. Neighbor only on one side. Plenty of room for a pool. Community clubhouse, pool, tennis and pickle ball courts. Modern contemporary stunning finishes. Fully landscaped with walls."